Beneath the luxurious lifestyle of the Hamptons lie a dark, dirty secret and a twisted tale of passion, suspense and ultimate redemption. 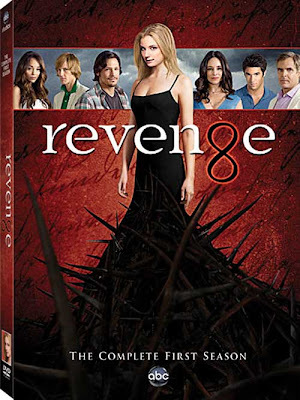 Enter the alluring world of the rich and ruthless with ABC’s Revenge: The Complete First Season on DVD August 21,2012. Deleted Scenes, Bloopers, and more! Amazon.com currently has it available for pre-order at $33.99.